This grand evergreen tree has mid/dark-green, needle-like leaves that cloth the tabulate branches. Large cones are produced every 2 years and take this long to ripen. Reaching around 8 x 4 metres in 20 year, Cedrus libani begins life in a pyramidal shape and in maturity, develops a much broader, rounded, spreading form. Interestingly, despite the name 'Cedar of Lebanon', this tree does not originate from Lebanon but in fact was found growing on the slopes of Mount Lebanon in Syria. Cedrus libani is a magnificent, tough tree that will tolerate exposure, but does requires full sun and well-drained soil. 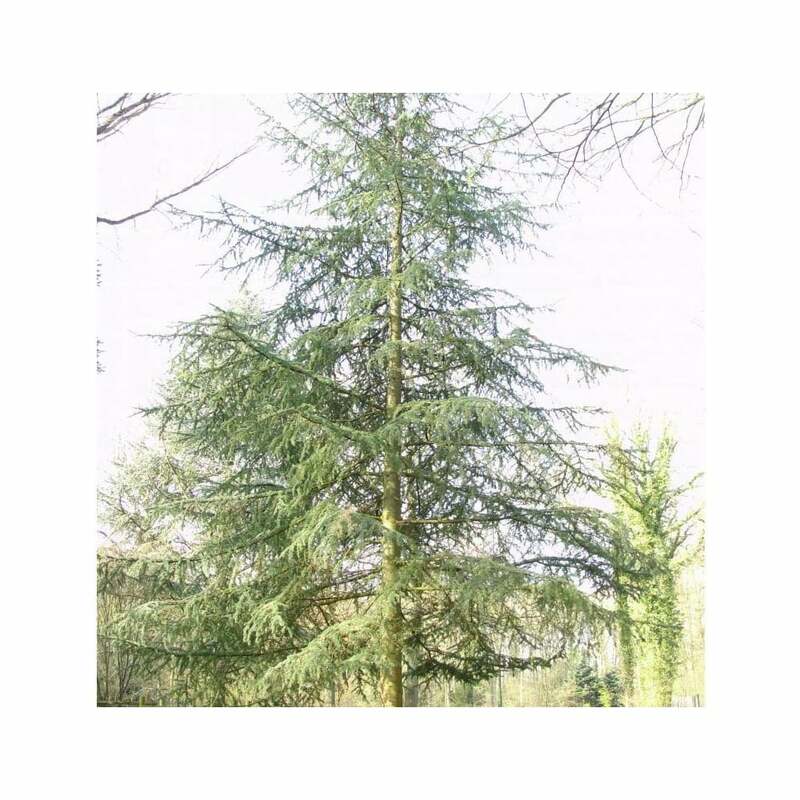 Our pot grown Cedar of Lebanon trees can be planted at any time of the year. Firstly, remove weeds and grass within a metre of your desired planting hole, then dig a square hole as deep as your root mass and approximately 2x as wide. To help your tree establish more effectively, we advise applying root grow (sprinkle in the hole for pot grown trees), especially if you have poor soil. Gently loosen the roots and place into the planting hole. If you’re planting Cedar in spring or summer, water well and regularly for the first few months. Keep an eye on young trees and increase watering if there are extended periods of hot or dry weather. If you’re planting in autumn, you may only need to water your tree a little. We also stock a range of irrigation kits, suitable for a variety of planting schemes. Cedar of Lebanon trees do not require a lot of pruning. Simply remove any dead, diseased or awkwardly placed branches from your Cedrus Libani tree as and when you see them.